Castries is located on the western coast of St. Lucia and one of Caribbean tourist hotspot courtesy of the cruise ship port at Pointe Seraphine. Being St. Lucia’s capital, it also serves as a business hub, further supported by the George F.L. Charles Airport with its corresponding runway to the Vigie Beach. From here, you may find frequent flights to Guadeloupe, Martinique and many other places in and around the Caribbean. 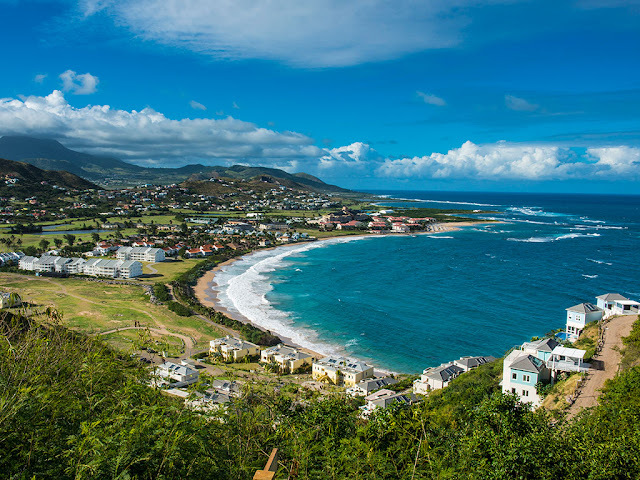 The seaport is served by super-sonic catamarans to Guadeloupe, Dominica and Martinique which makes Castries an ideal spot for island hopping. If you’re a traveller or lucky holder of St. Lucia CIP, here’re a few exciting things to do and enjoy. Set in a peaceful air-conditioned mall right by downtown seaport in Castries, the La Place Carenage Shopping Plaza is the best spot for shopping local and imported goods. The plaza remains open six days a week to offer duty-free shopping from local arts, crafts and fashion goods to branded electronic, accessories and labelled tobacco. To avail discount rates, all you need is showing your airline ticket and passport. The catamaran that departs from the harbour at Castries and sail across the west coast provide ultimate relaxation in between trips to the iconic Pitons; the two lava outcrops and all jungle-clad. It’s located 40 minutes to the south of the capital at Soufriere whereas the trip is your ultimate chance to dip in Marigot Bay’s azure waters; true wonder of Castries. Just a short distance away from the cruise ship terminal is the Castries Market where you can experience the true essence of shopping for local goods. Buy fresh produces right from the gardens of farmers and exotic selection of Caribbean spices that would surely spice up your taste buds. The nearby craft market is an excellent place to buy souvenirs or you can enjoy the charm of this place permanently with St. Lucia CIP. The Derek Walcott Square is named after St. Lucia’s two Noble Laureates. It’s surrounded by iconic colonial buildings that include the Castries Public Library. A 400-year old monkey pod tree is one of nature’s amazing wonders to offer cool shade from the fiery tropical sun. The super exciting helicopter tour takes off from the George F.F. Charles Airport to offer some of the most breath-taking views out and around the island and the city. The ultimate tour also explore through secret coves, ascend above the Pitons and glide across the Caribbean Sea’s surface before landing back on the lush helipad on Castries. Our Planet is located in La Place Carenage which is an interactive tourist centre. It’s a perfect combination of immersion tunnels, wind and snow machines, real life-size holograms and offer fun-learning adventure over environmental concerns. The above things are best enjoyed with St Lucia CIP, offering some of the best life experiences and a chance to explore the Caribbean’s wonderful island unlike anything imagined.